Playing in the woods and streams near our Michigan home was once everything to me— but apparently simple pleasures such as these were not not enough. It all began the day a flyer advertising an exchange program appeared in our mailbox. The year was 1979, and soon after my Japanese afflication began. 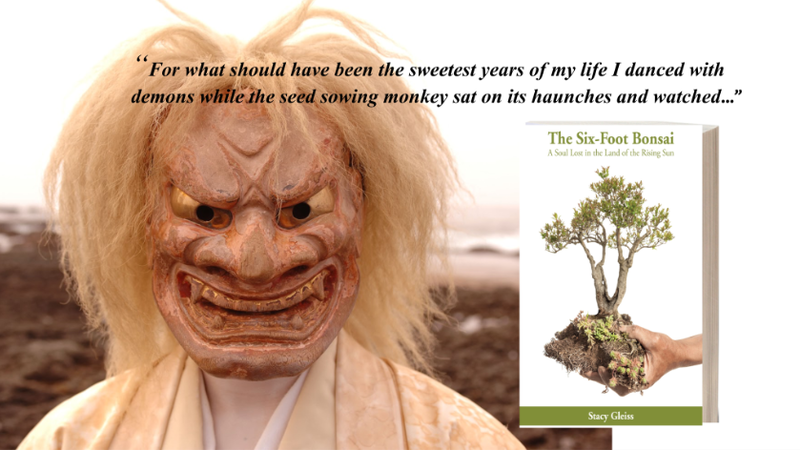 “The Six-Foot Bonsai is my attempt at piecing together what happened during the three decades that followed. The book is a personal account of my selfish addiction to the Japanese culture. You may not like Bonsai as a woman, but I cannot change what occurred. I do my best today.